Dean Wayne Crook, resident of Post Falls, passed away August 31, 2018 at Schneidmiller Hospice House after a brave battle with cancer. Dean was born August 12, 1959 to Wayne and Carol Crook in Inglewood, CA. In his junior and high school years, Dean excelled in sports, mainly softball and basketball. In fact, his basketball nicknames were “Pampers” for his dribbling abilities, and “Mr. Free-Throw.” But since childhood, his lifelong passion had always been playing the drums. 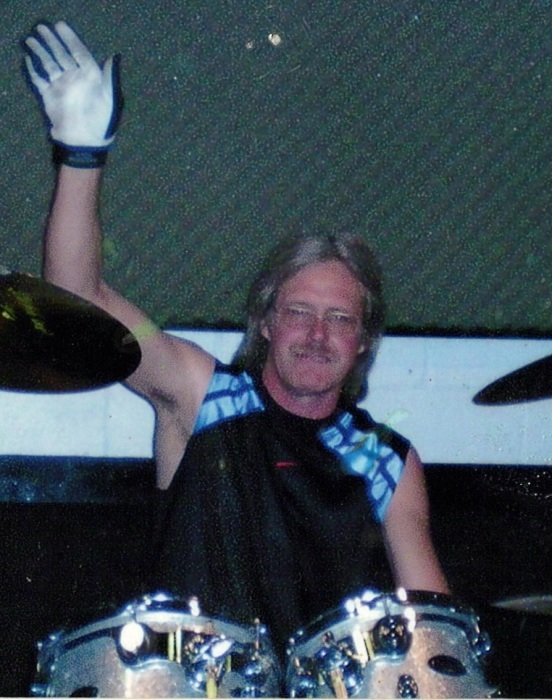 His happiest times were when he was jamming with his band, whether in the garage or at gigs. After graduating from Canoga Park High School, Dean enlisted in the navy. He served from 1978 thru 1982 in communications, he re-enlisted in 1987 thru 1989 as a recruiter, and again from 1989 thru 1992 as an administrative supervisor, throughout earning Good Conduct and Sea Service medals. In between military terms, Dean became experienced working in mailrooms, and was very proficient in shipping and receiving, warehouse and forklift operator. In 2006, Dean decided to improve his quality of life by moving to beautiful Post Falls, Idaho, where his father and sister lived. He never regretted that choice. Dean will always be remembered as a very generous soul. Even when he didn’t have much, he would give what he could to those in need and not expect anything in return. Dean is survived by his sister and brother-in-law, Shona and Bill Rogers; three children: Merissa, Dyab and Devin; one grandchild and four cousins. A military honors memorial service will be held at the Washington State Veterans Cemetery: 21702 W Espanola Rd, Medical Lake, WA 99022 on February 11, 2019 at 2:15 pm. Rest in peace, Bubba. We love you and will miss your beautiful smile.